Jakarta. Jakarta’s RUCI Art Space presented Roy Voragen’s curated show, titled “I too am untranslatable,” on Wednesday (12/07), which featured four distinct artists from Jakarta, Bandung and Yogyakarta. The exhibition features work from Deden Durahman, who specializes in photography, painter Jabbar Muhammad, performance artists Kelvin Atmadibrata and installation artist Theresia Agustina Sitompul. Artists will explore the boundaries and freedom of the body without assimilating to the influence of each other in RUCI’s new exhibition, which will open to the public on Friday (14/07) until Aug. 13. Deden will showcase two series that deal with self-representation, titled “Peerless” and “Peers,” which showcase the notion of the physical crisis of modern life. “Each of the three works that make up the series Peerless seem to be straightforward yet sliced-up portraits of each individual,” Roy said. Jabbar will continue his 2015 “Eve” series, which touches on identity and the significance of human interaction. 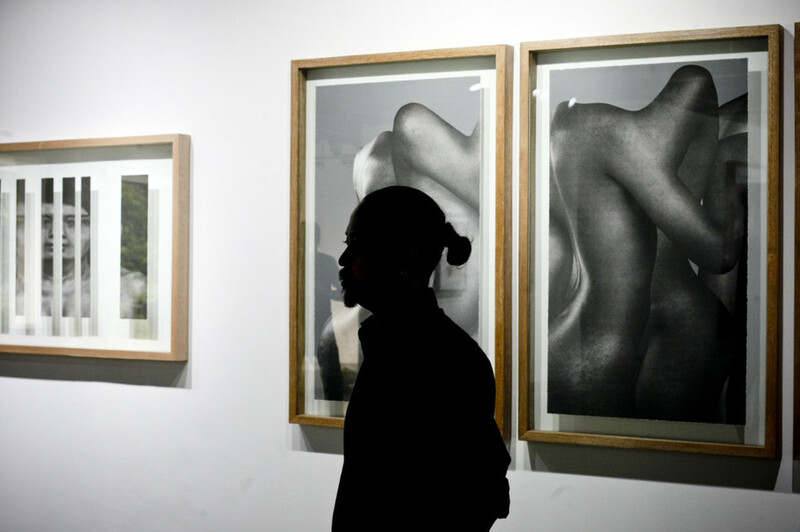 His work focuses on the concept of duality of masculism and feminism and their presence in both genders. His work is presented on both canvas and paper. Kelvin will perform a piece titled “Benched,” which combines performance art with paper collage and photography to narrate a story around his long lost adolescent crush. The work explores the notion of missed opportunities to reboot and rethink one’s own life. RUCI’s mission is to provide space for artists to experiment, develop and transform ideas to break the barrier between creator and viewer.